Multiple Authors • $11.95 • 10 articles • Item # SR 172 Get 10 of our best and most popular training articles and presented so you can start your program now! This kit focuses on conditioning using on-field circuits. Includes an index of articles and how you can use it to establish your program plus a bonus on-field strength circuit. Circuit training offers an endless variety of training possibilities. The purpose of soccer-specific conditioning circuits is to combine soccer skill(s) with athletic skill(s) development. The emphasis can be placed along the continuum from soccer skills emphasis to athletic skill emphasis or anywhere in between that is based on the individual needs of the athlete, time of the year and other practice/competition variables. This kit shows you how. Index Article #1 Soccer Circuits - Principles in Designing Technical /Athletic Skill Circuits Here are basics of designing a soccer-specific circuit from exercise selection to fitting it into your coaching plans. Article #2 and #3: Brazilian Physical - Technical Circuit Training for Soccer The following two circuits are part of the Brazilian system. The first article presents the circuit as modified to develop the conditioning aspect the second the technical aspect. . Article #4: Use of On-Field Circuit Training for Managing Large Numbers of Club Level Soccer Players This eight station circuit shows you how to move up to 200 soccer players in two age groups in one session. Article #5 and 6: Technical Circuit and Technical/Physical Combo Circuit The technical circuit is done with emphasis is on proper soccer technique. The technical/physical combo circuit trains the technical aspect of soccer with intermittent bouts of strength/stability, power training and sprint endurance activities. 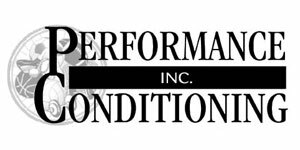 Article #7: 15 Station Conditioning Circuit This program was designed with the following considerations: improved stamina and endurance, increasing each player's ability to run at varying speeds and distances, and thru 360 degrees over a time frame of 90 to 120 minutes. Article #8: Soccer-Specific Movement Circuit Training This article provides introduces position-specific circuit training and how to do it. Article #9: Circuit Training to Improve Dribbling Skill and Soccer-Specific Conditioning The following circuit can be used for beginning, intermediate and advanced level players during pre and in-season situations. Article #10: Aerobic Power Development Circuits for Soccer The greater a soccer athlete’s aerobic power, there is a decrease in recovery time and with it the ability to repeat all-out anaerobic, short burst activity for ball winning, supporting teammates, penetrating, and scoring goals. Bonus article: Strength and Strength Endurance Training Station Circuit This article provides a strength-specific circuit that can be done right on the field.